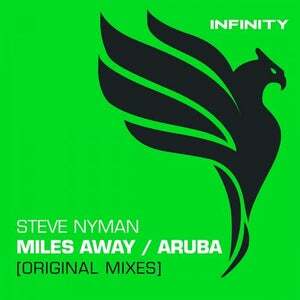 As previous on Infinity, we are delighted to yet again be releasing a new artist name, this time Steve Nyman. Steve delivers a stunning EP here, the title track 'Miles Away' catches your attention from the off with its driving, throbbing bass and cheeky samples, before unleashing a powerful riff and tasty chords. 'Aruba' has a more groovier feel to it, dropping you into a haunting break, then instantly uplifting you as it builds and builds again unleashing plenty of energy and catchy movement once it kicks in.